Mermaid's having more fun: Let’s Make Some Waves! Hair types vary greatly from person to person. Some have straight hairs, while some have thick curls and some are in the middle of the two, i.e. wavy hairs. Scientists still do not know the reason of development of different types of hairs, but the shape of the hair follicle and the way in which the hair proteins are clustered in the hair shaft counts to some extent for the development of the hair pattern. It is thus very much possible that a person with wavy hair may develop thick curls or a curly hair can change to wavy one. Whatever may be the reason, we are here to talk about the wavy hair and the methods by which you can make your hair wavy. 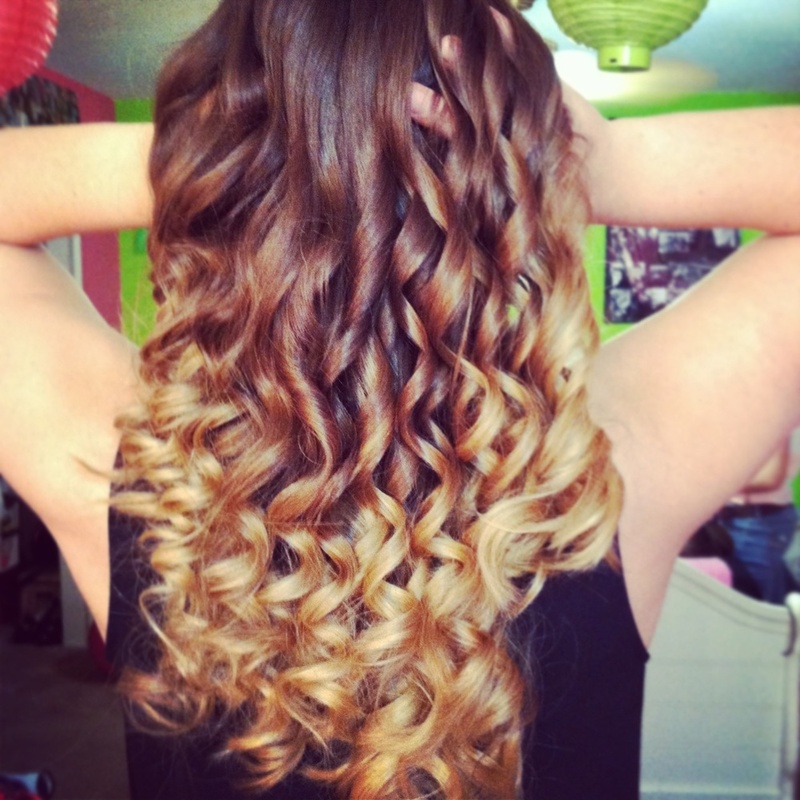 Wavy hair is in between curls and straight hairs. Wavy hair tends to form loose S-shape but the characteristics can be similar to those of the straight hair or curly hair. Like the other two hair types, wavy hairs also have the three basic textures- fine, medium textured and thick or coarse. As said earlier, the hair follicle and the accumulation of the hair protein are responsible for the texture of the hair. When you have straight hair and desire to have some waves in it, you can go for the natural ways to create the waves. Chemical ways to make waves are semi permanent and more importantly, very harmful for the health of your hair. To start with any of the natural processes, you have to wash your hair properly simply curls look great when the hair is clean. Use shampoo to clean the hair and condition it properly so that your hair become light and do not get straight due to the weight. Keep your hair damp as the curls will set easily in damp hair. The best way to make the hair wavy is with the help of braids. The size of the braids will determine the size of the curls. So, if you want big curls, you have to make thick braids and for smaller curls, go for thin and fine braids. Make the braids tight so that the bends of the braids can create the desired curls. You just have to leave the braids for sometime (it will be best to leave the braids overnight) and when you untie them, you will find your hair curled. You can also make tiny buns to curl your hair. Separate the hair in equal portions and make small buns with each one. Smaller buns will result in curlier hair. Leaving the buns overnight will give the best results. The other method is to use hair curlers while you sleep. This may hurt, but if you are ready to sacrifice your comfort for beauty, go for it!